Q1 hosted USPAACC Midwest Members at Special Reception! Q1 sponsored & hosted a Special Networking Reception for USPAACC Midwest Corporate & Asian American members at Le Meridien, Oakbrook. The event was in honor of Asian Heritage celebrations and was addressed by Susan Au Allen – CEO & President, USPAACC National; Dr. Gopal Lalmalani – Mayor, Oakbrook and Krishna Bansal – CEO, Q1 Technologies. Attended CBOF 49 – great opportunity to meet and interact with Fortune 100 corporations and Diverse Owned Businesses! 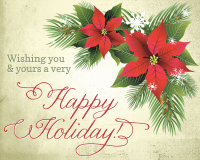 Wishing everyone a very Happy & Healthy Holiday season!